Home / Recipe / Greatest Homemade Doughnuts Ever! 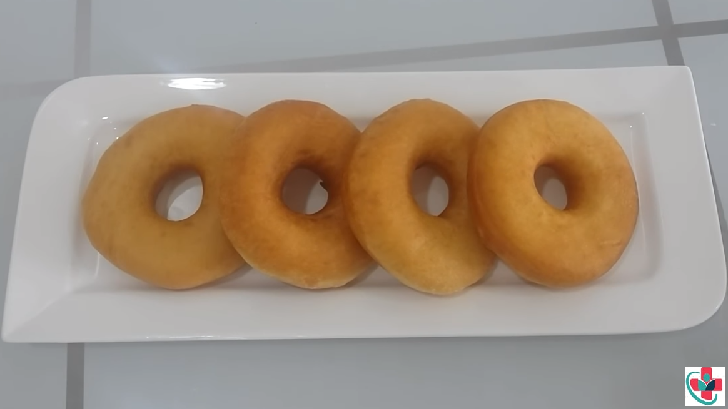 I have tried so many recipes for doughnuts, and this one finally came out perfect! Just like the ones at my favorite doughnut shop. When you sink your teeth into a freshly-made, still-warm doughnut it tastes like pure joy. Especially when they’re homemade. These are super delicious and fluffy! Everyone should make them! Go bake doughnuts — and finally discover their true greatness. ➾vegetable oil for deep frying. ⏩In a medium bowl, slightly beat 3 eggs. ⏩Add sugar to eggs and beat until incorporated. ⏩Add the melted margarine (or butter) and beat until smooth. ⏩Add milk( or water) and ground cardamom powder( iliki). Mix well. ⏩Add flour & baking powder- Mix well into a dough. ⏩Cover and chill dough until stiff enough to roll out with a rolling pin. ⏩Roll out dough on a floured surface with a rolling pin to ¹/₃" thick. Let rise 5-10 minutes. ⏩In a deep fryer or deep frying pan, fill fryer ¹/₃ to ¹/₂ full with vegetable oil and heat oil on medium heat till hot. ⏩When the oil is hot enough, gently place as many doughnuts as will fit into your fryer, leaving plenty of room around each. Fry until golden brown.